Today I'm using my egg cutter...to make egg cookies. Although my plan was to make beautifully detailed cookies, I was shopping for a phone instead. And when I say shopping for a phone, I mean buying and returning five phones before I finally got the right one. Again, I'm showing how old school I am because most people don't have land lines, right? I won't bore you with the details, but instead of decorating beautiful cookies, I spent hours online, then driving to and from the store, buying and returning phones. It took me days to finally get the right phone, wait...my latest one is now charging, so I'm not really sure if it's the right one, but I have hopes. 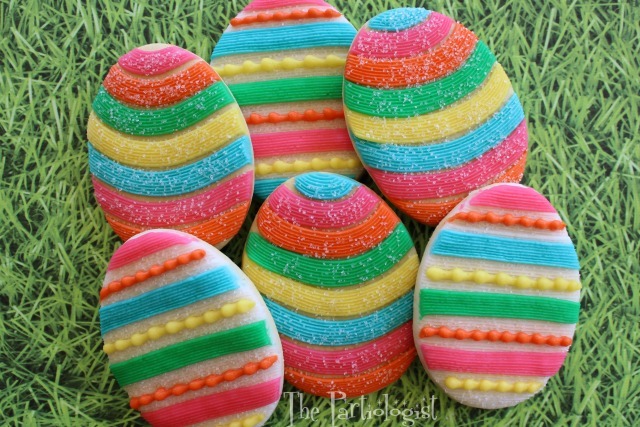 And while my phones were charging I was decorating simple striped egg cookies. 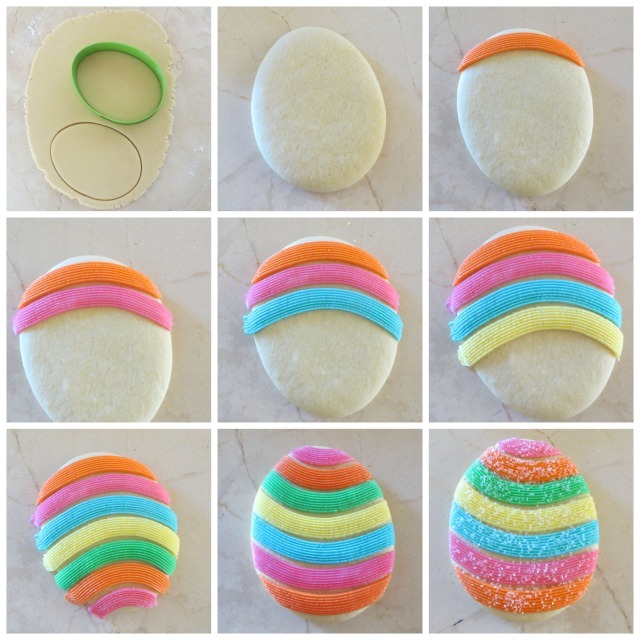 They are so simple to make, you can decorate a batch before your phones are charged! I hope you give them a try. The hardest part was taking the time to mix all the colors. 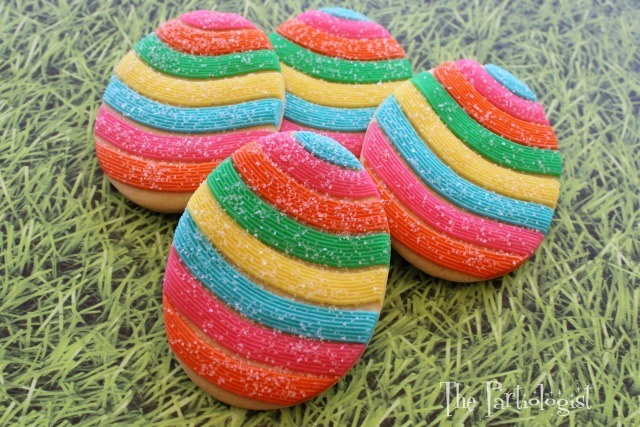 Of course, these cookies can be made with ANY size egg cookie cutter. Fill five piping bags, each with a different color and a #46 basket weave tip. Pipe one stripe across the large part of the cookie in a curve. Continue piping colored stripes, alternating one color after another, close together, but not touching. Once the cookie is full of stripes, lift the cookie and remove the excess frosting from the edge with an off set spatula. Sprinkle with white sanding sugar. 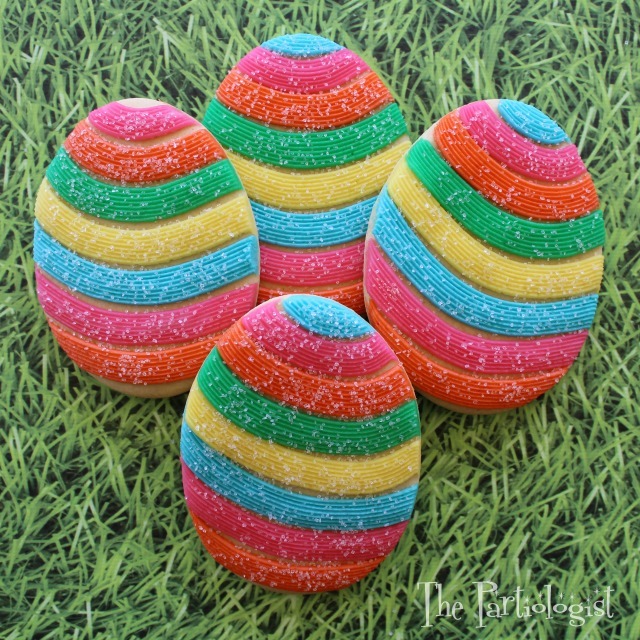 And you've got yourself a simple little striped egg! A few other striped eggs hopped in the mix! Wishing You a "Phone" Filled Easter! I love the colors! Super cute EGGS!! Creating all those colors was certainly worth the effort. They look spectacular. Good luck with the new phone. I hope it works! Oh Kim... I absolutely adore these! Happy Easter! Oh thank you Rose, you're so sweet!! You may have spent a lot of time exchanging old-school phones..but these cookies are absolutely beautiful! 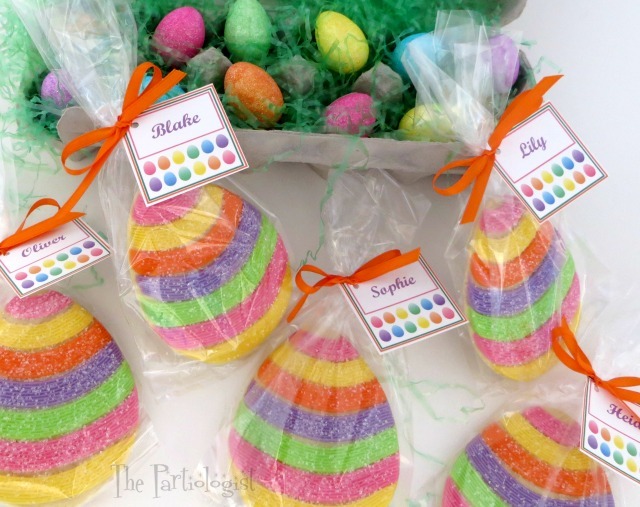 Love the designs and the colors and the packaging and..Happy Easter!